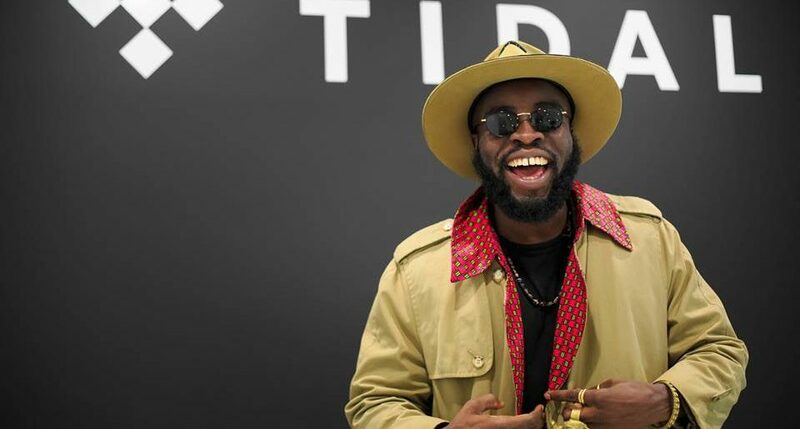 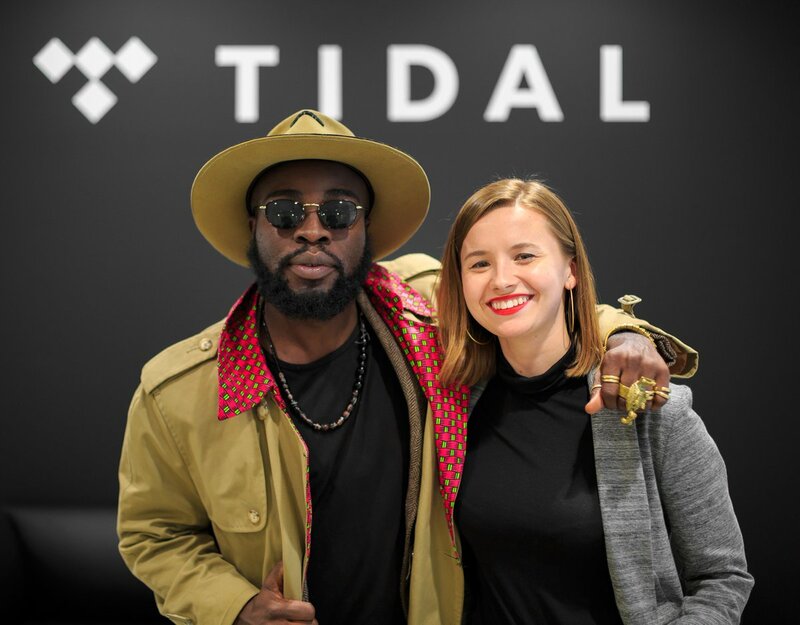 Ghanaian rapper, M.anifest early this week visited the New York Office of streaming service, TIDAL, owned by Mogul Jay Z.
M. Dot met Elliott Wilson, Editorial Director, Culture and Content, Hip Hop at the streaming service, and also Paley Martin, a member of the content and editorial team at TIDAL. 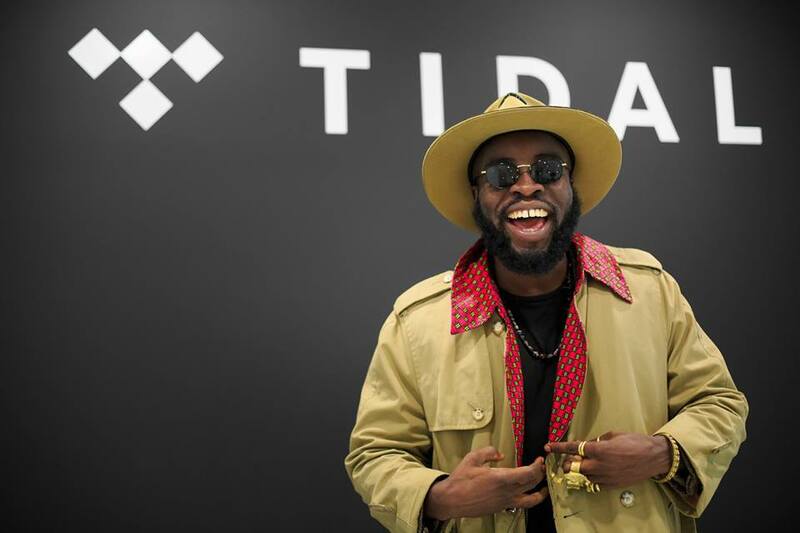 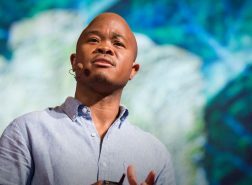 TIDAL is the first music streaming service that connects artists with fans through the best High Fidelity sound quality and expertly curated editorial. 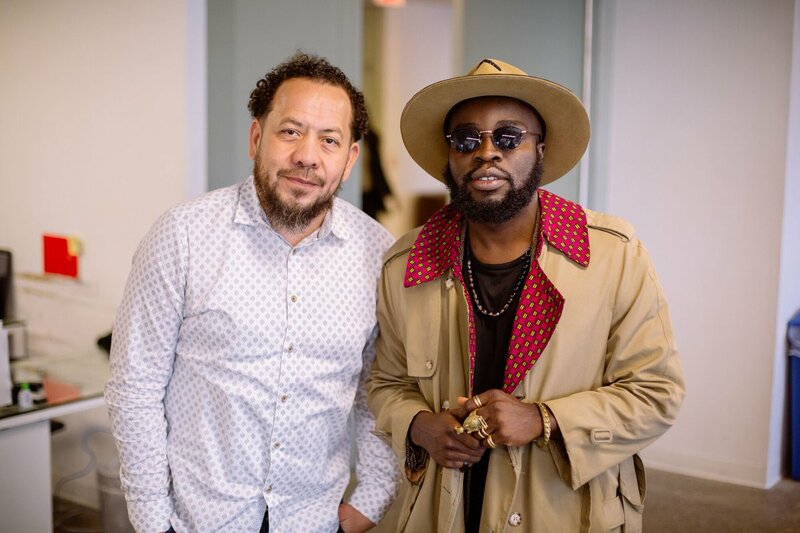 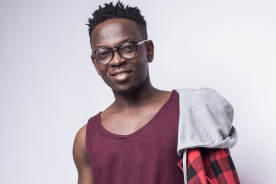 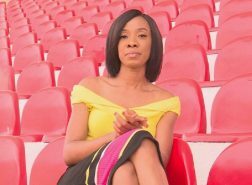 In the past months, the company has stepped up efforts to promote Afrobeats and the works of African artistes.